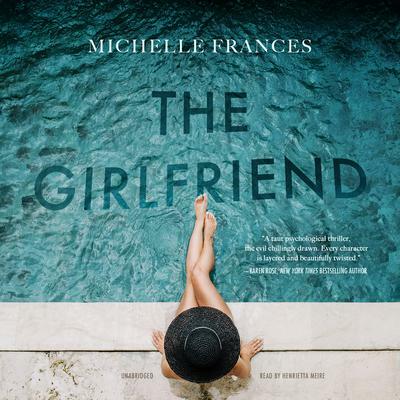 A chilling domestic thriller, The Girlfriend brilliantly renders the relationships between a fiercely protective mother, a charming son, and the young woman who will stop at nothing to come between them. Laura Cavendish can’t wait to meet the woman who’s won her son’s affection. Despite a successful career in television and a long, prosperous marriage, Laura’s world revolves around kind, talented Daniel. She pictures his new girlfriend, Cherry, becoming a close friend and confidante … one day, even a daughter-in-law. But although Cherry is beautiful and amiable, Laura can’t warm to her. There’s something about the possessive way she touches Daniel, the little lies Laura detects. Cherry seems to resent Laura, driving a wedge between mother and son—until one day Daniel is injured in a terrible accident. Six months later, with Daniel still in a coma and facing death, Laura makes a fateful decision—and carries out an astonishing deceit. A handsome doctor for a husband, with a trust fund and a family villa in Saint-Tropez—it was all supposed to be Cherry’s. Now, instead of living with Daniel in his impeccable home, she’s jobless and broke. And then Cherry discovers Laura’s stunning deception. But Cherry is too clever, too ambitious to let her get away with it. She has already transformed herself into Daniel’s dream woman. Now she’ll become Laura’s worst nightmare. Author Michelle Frances masterfully weaves both women’s perspectives into this gripping, artfully plotted psychological thriller, propelling the reader through one dark twist after another toward a shocking, unforgettable finale. 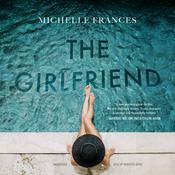 A chilling domestic thriller, The Girlfriend brilliantly renders the relationships between a fiercely protective mother, a charming son, and the young woman who will stop at nothing to come between them. Laura Cavendish can’t wait to meet the woman who’s won her son’s affection. Despite a successful career in television and a long, prosperous marriage, Laura’s world revolves around kind, talented Daniel. She pictures his new girlfriend, Cherry, becoming a close friend and confidante … one day, even a daughter-in-law. A handsome doctor for a husband, with a trust fund and a family villa in Saint-Tropez—it was all supposed to be Cherry’s. Now, instead of living with Daniel in his impeccable home, she’s jobless and broke. And then Cherry discovers Laura’s stunning deception. But Cherry is too clever, too ambitious to let her get away with it. She has already transformed herself into Daniel’s dream woman. Now she’ll become Laura’s worst nightmare. Author Michelle Frances masterfully weaves both women’s perspectives into this gripping, artfully plotted psychological thriller, propelling the reader through one dark twist after another toward a shocking, unforgettable finale. 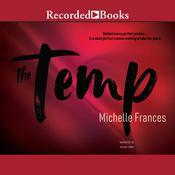 Michelle Frances has worked in film and television for sixteen years as a script editor and producer. She is currently head of development at BBC Wales Drama, producers of Dr. Who, War and Peace, and Sherlock, working across a number of in-house shows and overseeing book adaptations. She has previously worked as a script editor and producer at Fremantle Media and then at Company Pictures, where she was associate producer on Shameless.